Exceptional employees are the foundation of exceptional service. Fidelity Investments is now hiring in the Jacksonville area. See how this employer is attracting the best talent by changing up the work environment with flexibility and creativity! Scroll to the bottom for more information or click here to view jobs on LinkedIn. Pete: Now, guys, I told you we have a real exciting guest today and I’m going to tell you a little bit about his bio and background. And he’s going to tell us about a very incredible and innovative company here in Jacksonville. It’s not just here in Jacksonville, but I’m going to let Harold tell you about it. Pete: Harold Stankard. And I’m going to read his bio, because I want to make sure I get it right. As Senior Vice President and General Manager and Regional Leader of Fidelity Investments Regional Center in Jacksonville, Florida, Harold provides business leadership responsibilities for over 900 registered employees. Pete: He oversees five different functional areas: Customer Service, Brokerage Trading, Planning and Guidance, Retirement Solutions, and High Net Worth Services. Harold’s been with Fidelity Investments for over 21 years. Pete: He graduated from Stetson University in DeLand, Florida. He has his Series 7, 8, 63, 65 and his insurance licenses. Harold Stankard, welcome to Hard Work-Ah. Harold Stankard: Well, thank you for having me. And that résumé sounds a lot better than I really thought it was. I’m pretty impressed. Pete: Harold, I always say, people are perfect twice in their life. When they’re born and when they write their résumé. Harold Stankard: Sounds about right. Pete: Right. Right. Well, Harold, I think it’s important, right up front, when we say Fidelity Investments, tell us about Fidelity Investments. And I think it’s important, especially for our Jacksonville listeners, because they might be thinking it’s a different company in town. Harold Stankard: You’re exactly right. In fact, in Jacksonville there’s a few different Fidelitys. Well, I’m biased, but I like to think Fidelity Investments is one of the best kept secrets in town. Harold Stankard: Fidelity Investments is a really large financial services firm. In fact, we’re the most diversified financial services firm in the United States with over $7 trillion in customer assets. Harold Stankard: I know, it’s hard to digest. Harold Stankard: What I think is really cool is that we serve over 27 million Americans with all the things that are very important to them. Basically, their financial future. Harold Stankard: And that’s a great responsibility. Pete: Right. I didn’t tell you this, but Fidelity Investments handles our 401K. Harold Stankard: We are the largest provider of 401K services. And I hope we’re doing a great job for you. Pete: Great. Great. You are. And in the opening, you heard me talk about how companies right now … There’s a candidate shortage. Good, qualified candidates, it’s tough to attract them. So we, as employers, have to think about how to be innovative and creative and create an environment that’s going to attract good, qualified candidates. And I understand that, through the rest of 2018, you’re expanding, you’re building out, you’re going to hire a lot of people in the Jacksonville market. Pete: What I like to talk about too is just understanding what are some of the things that are different about Fidelity Investments that would entice or attract people that might not even be looking? They’re the passive seekers. They’re in a job. They like their job. They’re doing a good job. What’s different or unique about Fidelity Investments that might get somebody’s attention? Harold Stankard: Well, first of all, you’re right in that we’re going to be hiring. We just began a pretty aggressive hiring effort right here in Jacksonville that really is a result of a real estate expansion. Harold Stankard: But recently we expanded to 150,000 square feet. Harold Stankard: Right here in Jacksonville between now and the end of the year. Pete: For a show, Harold, that’s about job opportunities and about the workforce, it’s exciting to hear that, right here in our market, a destination employer is going to be hiring so many people here in the very near future, 2018. This is good. Tell us a little bit about the environment and the types of folks that you look for. Harold Stankard: You asked earlier about folks that might not even be thinking about something like this. Well, we actually love that. Many times people hear Fidelity Investments and they think, “Oh, well, I guess I need to be in the financial services industry”. Arren: Right. That’s exactly right. Harold Stankard: But we think a little bit differently. Certainly, if there are people in this industry that are interested in Fidelity, we’d love to talk to them, but the majority of people we hire, believe it or not, don’t have financial services experience. We teach that. Harold Stankard: Really, is serve customers who have needs. They need our help and we’ve got to be there to help them. Harold Stankard: It’s a fast-paced environment, so you have to enjoy that. We certainly work hard. We have a lot of fun along the way and we try to make the work experience one where you’re constantly feeling like you’re learning and developing. Harold Stankard: It’s really important to us to find people who are learners, who thrive on learning. And the very nature of not having financial services experience and us teaching it to you, we need you to really be excited about that. And if you are, we’ll help you get licensed. We’ll teach you the dynamics of our firm and how we serve customers. Pete: This is a company that’s willing to go the extra mile right now and train and develop you. And you have to bring certain cards to the table. You’re going to have to want to serve others, right? You’re going to … fast-paced environment, hard worker, but here’s an environment of continuous personal improvement. Pete: You’re going to grow here. And this is a company that’s investing in the people, now, to train them, right? So, you attract these people. You got to have a world-class training program, I’m thinking, to get them up to speed if you’re going to teach them the skills to manage other folks’ investments. Harold Stankard: Well, I’d like to think you’re right, there. Two examples. One is, just getting licensed in this industry is not easy. In the past, the historic pass rates for the Series 7 license have always hovered in the high 60 percentages nationally. Harold Stankard: We hover around 90%. Harold Stankard: So, we make sure we prepare people for that examination. But it’s more than that, because when it comes down to talking to customers who are real people with real problems, they’re worried about their finances, because finances empower all of the other things that you care about in life. Family and retirement and vacations, college, etc. Harold Stankard: So, we try and create a learning experience that’s as real as possible. In fact, one of the things that we’ve been piloting this year is a virtual reality learning experience. Pete: What’s that all about? Harold Stankard: Feeling the stress that they’re feeling when they call us to really try and put you in the shoes of that person, in the home of that person, so you can help them in a completely different kind of way than maybe you could have without that. Pete: This is pioneering technology. This is different. I ran training departments. My undergraduate degree is in workforce education and I was a trainer, training and development manager. I didn’t have tools like this available. We tried to role-play and that just blows that out of the water, because you’re in a real-world scenario. Arren: Yeah. You know what I like about that is a lot of companies are using technology to, kind of, automate things. So, you dial and you’re trying to get in contact with your broker or somebody financially-speaking. I don’t know the term. I’m too young, but you’re trying to contact them and then you get an answering machine and then you have to wait for 30 minutes and then you have to press five numbers to get to that person. And so, I like the idea that you are trying to teach the human aspect of these people that you’re trying to bring up. Arren: And I also want to give kudos, because you’re not only attracting people, but you’re also trying to retain them in the fact that you’re educating them and making them more aware of this human aspect that … People don’t buy from businesses. They buy from people and so I really like that about Fidelity. Arren: Isn’t that cool, though? Harold Stankard: You’re spot-on. Every business has metrics and results they’re striving for. I think the two metrics that consume the vast amount of my time are engagement levels with our people. So, how happy are they at work? How energized are they to come to work? Are they learning and developing as a person? Harold Stankard: And then, the other one is, the satisfaction of our customers. If we get those two things right, all the other traditional metrics, they’ll take care of themselves. Harold Stankard: One of the reasons why I’ve stayed with Fidelity those 21 years is because Fidelity’s reputation has been built on doing business the right way. There’s a lot of different ways to do business and in our industry, there’s a lot of people who work hard cold-calling and knocking on doors. Harold Stankard: We’re very fortunate at Fidelity that I’ve never known a Fidelity employee that’s had to do those things, because the phone rings if you really deliver great products and services at low cost with outstanding service. The customers will find you. Pete: Now, this additional 50,000 square feet that you’re building out, what’s that going to look like? Harold Stankard: Oh, I’m glad you asked. This is probably the thing that I’ve been the most excited about in my job over the last 12 to 18 months. When we leased this space, we decided we weren’t going to do things “how we’ve always done them”. And I put that in air quotes. Harold Stankard: We wanted to do things in a new, modern manner that created a really collaborative work environment for our people. So, this new 50,000 square foot facility … I’m sure all your listeners are thinking, “All right. This is a … people are on the phone. They’re talking to customers, so it must look like a traditional call center. And I’ve got my headset and I’m tied to my computer all day, tied to my phone”. Harold Stankard: Let me tell you, this is not that. Every one of our associates works off a laptop and a wireless headset. Harold Stankard: There are no cubicles. It’s all flat desks with open areas. Harold Stankard: All over the place where, if you want to get up, you could even mid-conversation, detach your laptop and walk around the building mid-conversation and go to a couch to finish the call or a standing station to finish the call. We’ve been in this space for about six months and the results are just awesome. The way people feel a little more free at work. The way they collaborate with their peers better. Harold Stankard: We tore down the walls. We tore down the traditions and we’ve created this new, really cool work environment. Pete: Of this. You hear all the time … Environments are stifling. And we spend more hours awake every day in the office than we do probably with our families, right? So, we have to have an environment that inspires creativity that people want to come to. Pete: You ever see that commercial? There’s one on TV where this one lady’s talking on the phone. It’s a big cubicle environment and she’s breaking up with her boyfriend of something. Pete: Yours is office of the moment, right? They come in, “I want to sit over here, prop my feet up”. Or, “I want to stand for a while. I have this … I have a laptop. I can get up and move around. If I want to work with these people this day, change my environment the next … ” It’s incredible. Harold Stankard: Well, it’s really about trying to solve for the individual. I think, in the past, corporations have been finding something that was very scalable, doable, and they would roll that out. Or the thing they thought most people would like. Harold Stankard: What we’re trying to create is, it doesn’t matter who you are or what your preferences are, there is a place for you. If you like to be more open and extroverted and collaborative, there’s lunch tables that are more common areas and you can sit in an open space. But, if you’re, maybe, someone who actually thrives a little more with quiet and privacy, there are places you can go to do that, too. Harold Stankard: We believe we’ll be a better company the more diverse our workforce is. And, most companies, I think, believe that to be true, but diversity isn’t just gender or race. It’s actually just mindset and preferences as well. So, whatever walk of life, whatever your personal preference, we’re trying to put you in a seat where you feel like you can thrive the best. Harold Stankard: It’s one of the reasons why we also did away with a dress code. Harold Stankard: “You can’t wear jeans. You can’t wear this. You can’t wear tennis shoes”. And about two years ago we said, “Come to work looking nice in the way that you feel like will allow you to be your best today for our customers”. Harold Stankard: And honestly, 99.9% of the time, we have no issues. Arren: I will say that, to quote Brandy Kerby, who was on our show and she was talking about the Working Mom Force that she said flexibility is the number one retainer of employers. And it sounds like you’re doing everything to make sure that you are flexible to serve, not only your customers, but your employees. Harold Stankard: Oh, yes. Yes. Arren: And I want to fall over and cry, because it’s just so beautiful in there. Pete: I don’t have a Mom station. Arren: The office, but I feel like they’re not inhibiting the work style of that office onto their employees and their employees can fit their lifestyle in to be able to work around that. Pete: You’re more effective that way. Harold Stankard: And you know who designed the new mother’s room? Harold Stankard: Instead of guys like me trying to figure it out. We [crosstalk 00:25:27] people who know. Pete: Oh, that is outstanding. Pete: Okay, Harold, hang in with us, if you will, sir. Just stay. We’re at the bottom of the hour. That music means we’re going to get a news and weather update. We’re at 104.5 FM WOKV. Pete: Welcome back all you hard workers. Man, we had a great first half with Harold Stankard from Fidelity Investments and he’s here with us for the second half as well. And we’re glad, Harold, that you’re with us. And let me ask you another question. Pete: And, Harold, one thing Harold, maybe you can help me out with this. I see a lot of folks that they graduate college and they’re wrestling with so much student loan debt and people make life decisions based on that debt that maybe they might not even go to college. Do you have any, kind of, programs or something that Fidelity Investments offers? Harold Stankard: Yeah. It’s a legitimate concern for people today and on one side, we’re constantly advising parents, grandparents and others on how to best save for future college, so debt isn’t required, but there are a lot of us, myself included, who leave school with debt on the books. And, about a year and a half ago, Fidelity unveiled a pretty awesome benefit, in addition to tuition reimbursement programs that most companies have, we now have a student loan debt repayment benefit where we will help you pay back your student loans if you’re a Fidelity employee. Harold Stankard: We’ll help you pay back up to $10,000 worth over five years. Harold Stankard: So, it’s pretty nice.  Pete: Another example of a key differentiator that’s going to bring people to you that I don’t know anybody else in town that’s doing this and I’m in the employment business guys. This is what I’ve been doing here in Jacksonville for over 20 years. This is a key differentiator. Good. Good. Pete: If I’m in the market or considering other opportunities and I’m looking at different employers in town, I look for an employer that would have a sense of community that they’re involved in somehow giving back to the community. Is Fidelity Investments involved in any community activities? Harold Stankard: Absolutely. And I think you hit on a good one there. Every company for many, many years has been focused on that, but the younger generation today is more plugged in to community service, I think, than any I’ve seen in my 21 years. And, for Fidelity Investments, that’s really great, because it aligns with what we’re doing inside of the four walls each and every day. Harold Stankard: Middle or high school. Harold Stankard: In fact, many companies today have these employee resource groups and we have several. And we have one that is dedicated to the veterans of the military or family of military and it’s called FiVE, Fidelity Veterans. And our FiVE group has made it a habit this year to go out to the Clara White mission three times this year just to serve and give back as a Veteran community. Harold Stankard: So, there’s lots of different ways that either our resource groups or our general population are trying to get out there and do what we do at work right here in the community. Pete: Thank you for doing that and helping our former service members. That’s fantastic. Harold Stankard: No, thank you. Pete: Harold, if people want to learn more information about Fidelity Investments or perhaps see some of the open jobs that are out there and apply, how do they do that? Harold Stankard: Well, the best way is to start on fidelity.com. Right at bottom of our Home page, you’ll see a little icon that says, “Careers” and you can go right through there and navigate, not only what’s available right here in Jacksonville, but you can even look at all of the different opportunities across the country and some of the things we have outside of this country. Harold Stankard: Maybe that’s not something you’ll do today, but I think that’s just a good example of, your career really can take you anywhere, particularly when you’re with a company with this kind of breadth. Pete: Wow. That’s great. And to have that kind of a career track and options is fantastic. When you were growing up and you were 12 years told, I’m going to assume you didn’t say, “You know what? One day I want to run a financial services … I want to run Fidelity Investments for this region. I want to do this”. You might have wanted to be an astronaut or a football player. And, like you said, our careers are more journeys than a destination. We go here, there, but you ended up in a real good spot. Pete: What would you turn around and look back and say to your 20-year-old self or so, say … Here’s future Harold right here and you look back and say to past Harold, “You know what? Hey, here’s what I want to tell you to help you along the way”. Harold Stankard: Wow, that is an awesome question. I first probably would have said, “Work on your jump shot more. Maybe things would have gone a different route”. But I think two things come to mind. One is, maybe one thing that I did fairly well throughout my career, or I’ve done fairly well, and one is another that I think I’ve had to learn by taking my lumps along the way. Harold Stankard: So, one thing I’ve done fairly well that I look back and it’s paid dividends that I really encourage people to do is to take a few leaps of faith with your career. Sometimes there’s an opportunity presented to you that looks good and exciting, enticing, but you’re not sure. Maybe it’s not in your area of expertise. Maybe it’s you have to move. Maybe it’s an industry you’ve never been in before. Whatever it might be, do the right consulting, research, ask, but be willing to take that leap of faith. Harold Stankard: I tell every new hire class that comes into Fidelity in Jacksonville, I love to share with them a Martin Luther King quote that … I’ll paraphrase it. It’s something along the lines of, faith is defined by taking the first step up a staircase even when you’re not sure what’s on the second floor. Harold Stankard: And I think that really can apply to career. Harold Stankard: Give it some thought, but don’t be afraid to take a chance every now and then. For me, I had been working in one part of Fidelity for eight years. I was considering a different part that I had no experience in and I was very nervous about it. But that opportunity and the fact that I went and became new again and had to learn a whole bunch of new parts of the business for the very first time, that’s what propelled me to have the opportunity to do this role that I’ve had here in Jacksonville. So, take a leap of faith or two. Harold Stankard: One that I’ve struggled with, from time to time, that I’ve hopefully gotten better with over the years is, when you hit upon hard times or when you don’t get something you’re pursuing, being resilient with a positive attitude. Harold Stankard: I can think, specifically, there was a job that I went for two different times in my career and both times, I did not get it and both times they hired someone I knew who, maybe in the back of my mind somewhere, at the time, I thought I deserved it over them. I was more ready than them. Pete: Got punch one and got punch two. Go ahead. Harold Stankard: Yup. And I look back and I’d like to think that I handled it fairly well between the walls of the office. But I did go through a lot of mental stress and had to vent to my wife a few nights in a row, just to get through it all and felt a little bit grumpy about it. Harold Stankard: And I wound up building a great relationship, learning a ton from them, and actually just gaining more experiences that allowed me to be better prepared when the next time around came. Harold Stankard: It’s so hard, because we’re all humans and we all … But I highly recommend, when adversity strikes and you don’t get something you thought you deserved, step back and really step outside yourself and see what you can benefit from that moment. It’ll serve you well in the long run. Pete: Oh, that’s fantastic advice. Arren: It was so good for my soul. Pete: Right. Right. All right. Harold Stankard, thank you so much for coming by this Sunday morning. You’ve been a fantastic guest. Thank you. Harold Stankard: It’s been a pleasure. Thank you for having me. As Senior Vice President, General Manager and Regional Leader of the Fidelity Investments Regional Center in Jacksonville, FL, Harold provides business leadership responsibilities for over 900 registered employees. He oversees five different functional areas: Customer service, brokerage trading, planning and guidance, retirement solutions, and high net worth services. In addition, he contributes as a Senior Leader on the Fidelity Personal Investing National Executive team, addressing both cross-region and cross-distribution issues of planning and executing overall business strategy. Harold is a 21-year veteran with Fidelity Investments, is a graduate of Stetson University in Deland, FL, and is Series, 7, 8, 63, 65 and insurance licensed.